The Stony Brook Independent started as the official, award-winning publication of the Stony Brook University campus chapter of the Society of Professional Journalists. 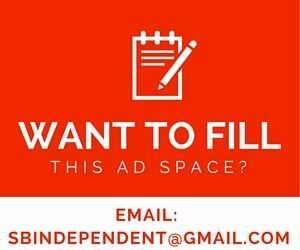 Founded in 2004, the Independent aims to become a complete, and yes, independent news source for anything that is happening at Stony Brook University, as well as a publication where the many varied, diverse opinions and viewpoints of the members of the University community can be expressed. Without a current print supplement of any sort, the Independent focuses entirely on presenting our readers with the latest on campus news, arts, entertainment and sports in an online format. We strive to build a robust online presence that marries the preservation of traditional journalistic ethics with the immediacy and accessibility of the web. We are continually looking for ways to better serve our audience and are working toward a mobile future where readers will be able to access all of our content from a myriad of web-enabled devices.